I wish I could have given you all a free spot on Life Book because I truly believe art nurtures the soul. Life Book is all about making you and the world happier. Through creating art, through creating a deeper understanding of ourselves, through connecting with each other. It's all there. I hope that many of you will join us on this fabulous journey (over 16500+ people have joined Life Book since its inception, amazing!). Imagine a year of weekly art lessons, inspiration, encouragement and a safe group of like-minded artsy people and YOU all together making art, growing and developing your skills and soul while being guided by some of the most talented artists and wellness experts out there! Life Book is an investment in yourself and a real value with 85+ offerings throughout the one year for ONLY £89GBP (approx 125 USD)! The course/content is valued at well over 2500+ USD. Although I could only giveaway one free spot, I am happy to offer a 20% discount using the coupon code: LOVEBOMB2018! Registration is open now and the class begins on January 1st 2018. 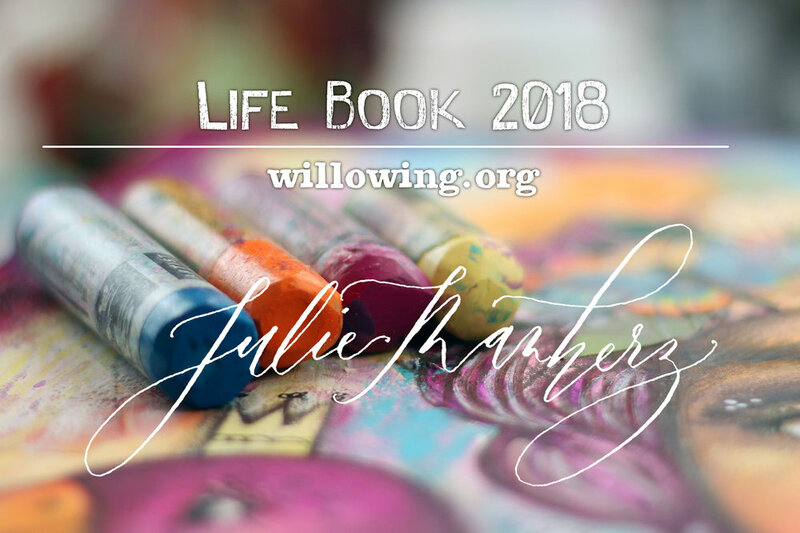 Sign Up to Life Book 2018 & Find out More Here!